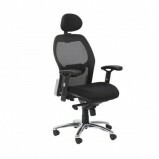 A selection of Low-Cost Home Office Chairs ideal for both the small office and the home office. Designed using the current trends in colours and materials, these home office chairs are perfect for comfortable working. Most of the chairs featured here also go nicely with our range of home office workstations and computer desks, or via our main office chairs section. 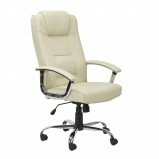 Contact Us for more information on our range of Low-Cost Home Office Chairs. Atlanta Mesh Back Operator’s Chair With Arms A wonderful chair with a stylish mesh backrest, and a generously proportioned seat incorporating posture curvature. 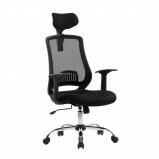 Pronounced waterfall front, gas lift, tension controlled fully reclining mec..
Brooklyn Home Office ChairThe Brooklyn is a contemporary chair designed for both style and comfort. The ergonomically shaped backrest is finished in a beautiful faux leather complimented by stylish silver stitching. 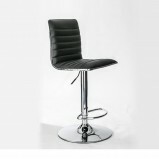 It features a modern chr..
Colby Barstool High Back Black Faux Leather and Chrome Barstool Featuring a ribbed, high back seat outlined in striking chrome, with a chrome base and footrest, the Colby Barstool is an attractive addition to any room. 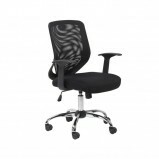 Made in black..
Croft Designer Mesh Chair Features a mesh seat and back perfect for your home office. With its recent redesign on the base and chassis this product is not to be missed. 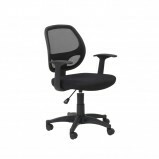 Complete with gas lift, tilt mechanism and tension control ..
Davis Mesh Operator Chair An attractive home office chair that boasts a stylish black mesh backrest with heavy duty nylon base featuring twin wheel hooded castors, sturdy nylon arms and gas lift height adjustment (no tilt). 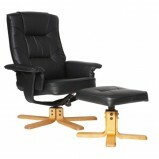 ..
Drake Recliner with Footstool A beautifully made faux leather chair complete with footstool, boasting backrest tilt operation and seat tilt tension function. Comes complete with 1 year manufacturers warranty. 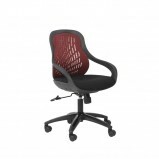 Features ..
Florida Executive High Back Mesh ChairFeaturing high quality strong mesh, the Alphason Florida is a beautifully crafted chair designed to both look and feel good. 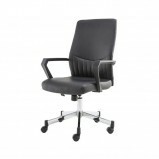 The high mesh backrest incorporates posture curvature and the pronounced wate..
Houston High Back Leather Executive Chair A leather faced executive chair with a high backrest and pronounced lumbar support. 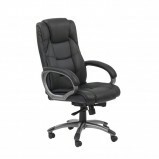 It features a gas lift, fully reclining tilt mechanism that is adjustable for individual body weight ..
Northland - High Back ‘Soft Feel’ Leather executive chair A generously proportioned seat with a high backrest for pronounced lumbar and neck support. 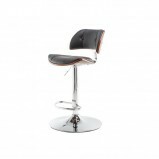 Features gas lift and a fully reclining tilt mechanism with tension control, which is a..
Victoria Barstool Black Faux Leather, Walnut and Chrome Barstool With a buttoned black faux leather finish complemented beautifully in a walnut effect frame and set on a sturdy chrome base and footrest, the Victoria stool from Alphason b..
Windsor Barstool Black Faux Leather, Walnut and Chrome Barstool Strong, sturdy and stylish instantly spring to mind when looking at the Windsor Barstool by Alphason. 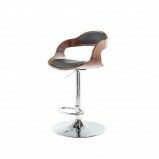 The gorgeous wrap around walnut effect backrest is complemented by a cu..